Delaware may be among our smallest of states, but you can still find big fun for your family. It hosts beautiful beaches, natural settings, museums, and history. Delaware also has the honor of being known as the First State. 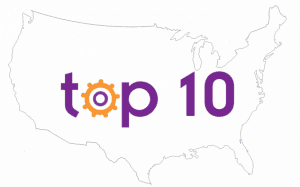 Here are Trekaroo’s top 10 fun things to do in Delaware with kids! Stay at these family friendly hotels in Delaware during your vacation. On many a weekend getaway out to the Delaware beaches, I have contemplated how the oddly shaped state of Delaware came to be. Is your family also looking for an answer as to why the state of Delaware is so strangely sandwiched in between Pennsylvania and Maryland? A visit to any of the seven historic sites that are part of the First State National Historic Park can help explain. In Lewes, visitors to the Ryves Holt House learn about the Dutch settlers who first came to the coastal area of Delaware, thus preventing Maryland from claiming it as it’s own. 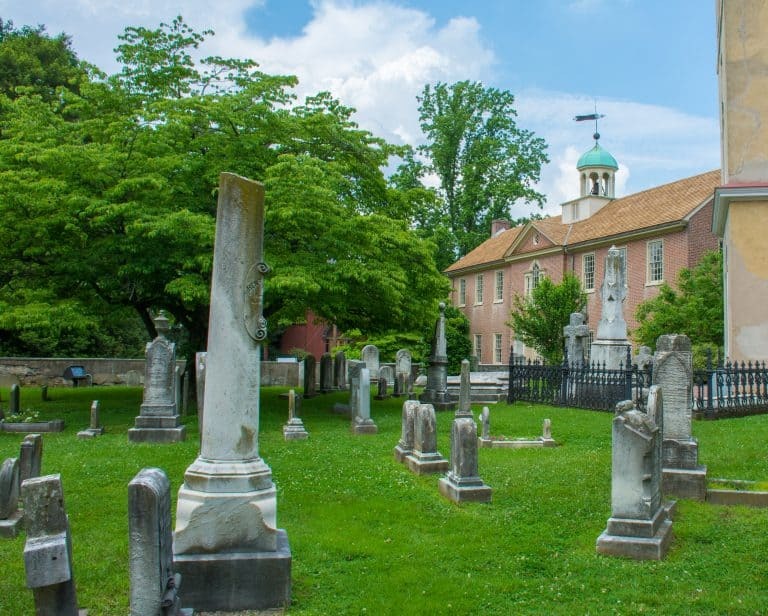 By walking the streets of historic New Castle along the Delaware River and visiting the New Castle Court House Museum, families can learn the stories of the Swedish settlers and of William Penn who first stepped foot on American soil in this small town. For years after Penn’s arrival, Delaware was actually part of Pennsylvania until finally adopting and signing the Declaration of Independence as its own colony in 1776. Finally, in Dover, the current state capital, families can visit The Green where on December 7, 1787 delegates from all over Delaware met to ratify the US Constitution, making Delaware the first state to do so. For such a small place, Delaware has such a rich history! There are many Delaware attractions in Wilmington that are fun for families to visit! The Delaware Art Museum, like most museums, offers both permanent art collections and temporary exhibits. What makes this museum stand out is how they try to reach families. The museum offers family programs at least once a month and a special room just for families in the basement. Visit on Sunday and the admission price is free! The Delaware Museum of Natural History hosts the only permanent dinosaur exhibit in the state. The museum also features one of the country’s top collections of shells in their Shell Gallery! Older kids will love the scavenger hunt offered by the museum, and little ones will have fun playing in the Nature Nook. The Nature Nook interactive exhibit allows tots to explore animal habitats such as caves and woodlands while observing live animals. Check out Trekaroo’s Guide to Wilmington Activities for Families! Like most cities in the Eastern United States, the city of Wilmington arose to prominence due to the industries along its rivers and waterways. The Christina River has played a large role in Wilmington’s prosperity as a 19th and 20th century ship building and industrial center. In recent years, large environmental efforts have been made to clean up the river and restore its natural ecosystems. 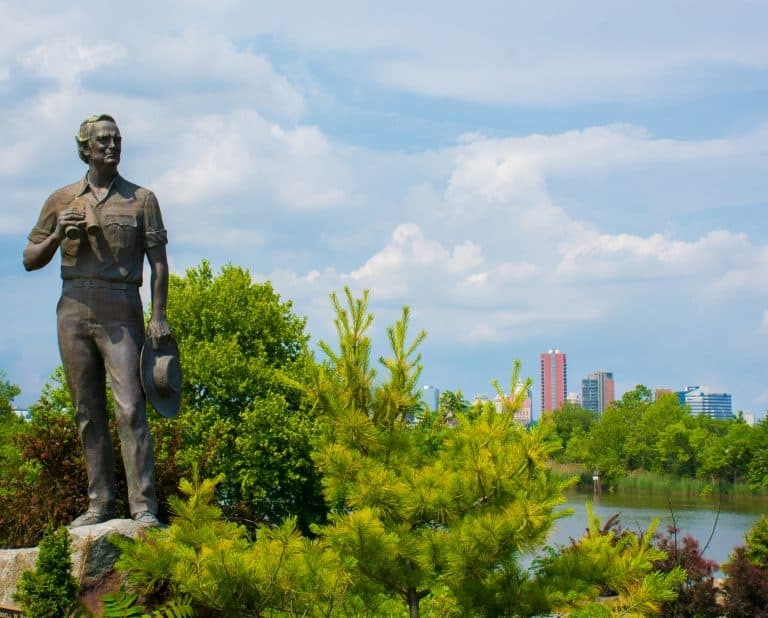 Part of this effort has been the recent development of the Russell W. Peterson Wildlife Refuge, an urban wildlife refuge located where the city meets the river and marshlands. Kids love walking along the boardwalk through the marshland and observing the variety of wildlife within view of the city skyline at the DuPont Environmental Education Center. This visitor center is centerpiece of the reserve. In fact, the entire riverfront of downtown Wilmington has been totally revitalized! Families can walk or bike along the Riverwalk, play a round of mini-golf along the river at Riverwalk Mini Golf, and dine in the restaurants nearby. To get a truly unique perspective, take a ride on Wilmington’s River Taxi along the Christina River. The guide tells stories of Wilmington’s past while families take in beautiful views of Wilmington’s present skyline. Find a hotel in Wilmington. At Dover Air Force Base, just outside the capital city of Delaware, there is a free museum that showcases some of the US Air Force’s largest retired aircraft. 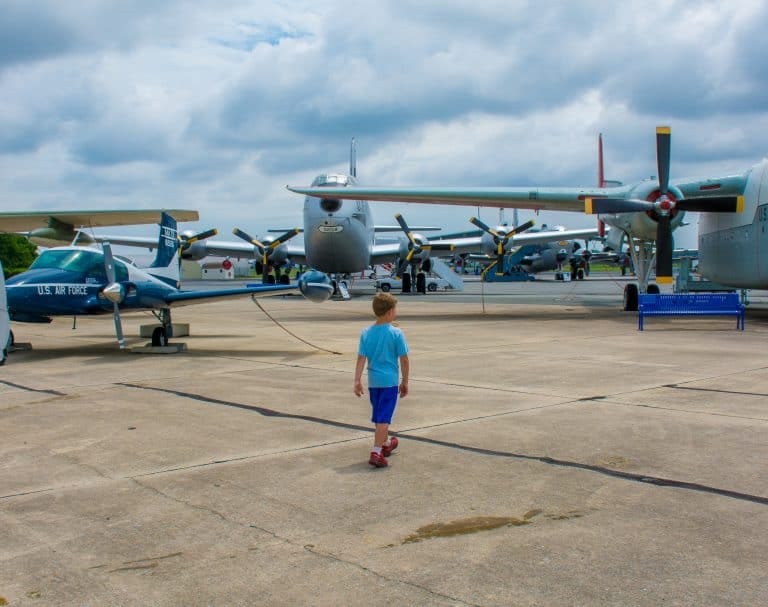 The Air Mobility Command Museum is a favorite for Mid-Atlantic families because visitors can walk around these massive aircraft admiring them from nearly every angle. As many times as I have been on an airplane, a visit to this museum gives a completely different experience as to how large the planes that we see up in the sky actually are! Free tours are provided by volunteer Air Force veterans. Have you ever visited Fort McHenry or Fort Sumter and wondered what it was actually like when the fort was operational? 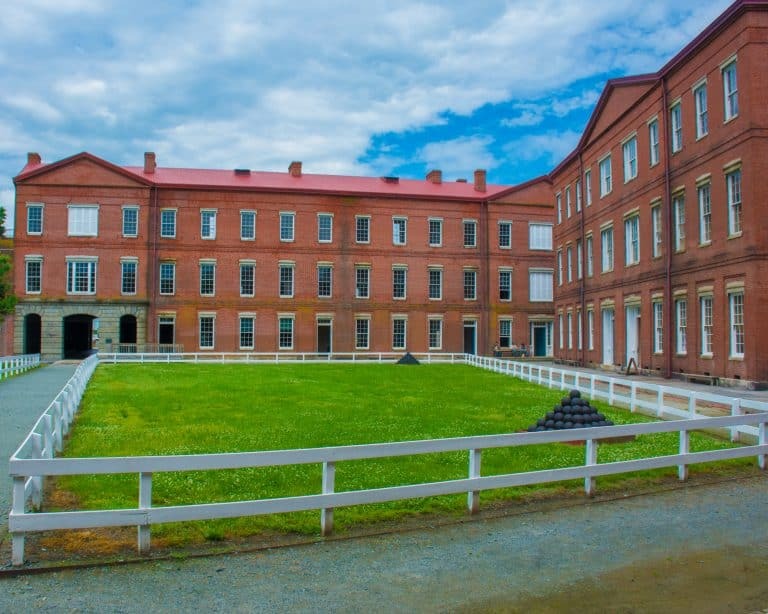 Fort Delaware, located on Pea Patch Island in the Delaware Bay, offers a fun Civil War living history experience for families. First, visitors take a quick boat ride to the island. Then they ride a tram across the marsh to the fort. At the fort, kids can speak to the resident blacksmith, laundress, storekeeper, and soldiers about life at the fort in 1864. During the Civil War, the fort was a fully-operational community; it even had a school teacher for the 20 or so officer’s children living on the island. If you happening to be visiting Delaware during May or early June, you should drive out to one of the Delaware Bay beaches. Pickering Beach, east of Dover, is a good choice. There you might be able to spot some horseshoe crabs. During these late spring months, horseshoe crabs come ashore in large numbers covering the sandy bay beaches. Some horseshoe crabs are over two feet long! The extensive legacy of the Du Pont family has shaped Delaware more than any other event or person in the state’s history. Beginning in 1799 when the patriarch of the family first immigrated to the United States, the family has played an important role in American history. There are many places in Wilmington to see the riches of the Du Pont family. At the Winterthur Museum, Gardens and Library, Nemours Estate, and the Hagley Museum families can hear the story of the Du Pont family. Nemours Estate, the home of A.I. du Pont and his family, was built in late-18th-century French style. Families can now visit the gardens, mansion, and garage, which houses the family’s collection of antique automobiles. Two little girls grew up in this mansion. Any modern little girl who tours the house will surely feel like a French princess. 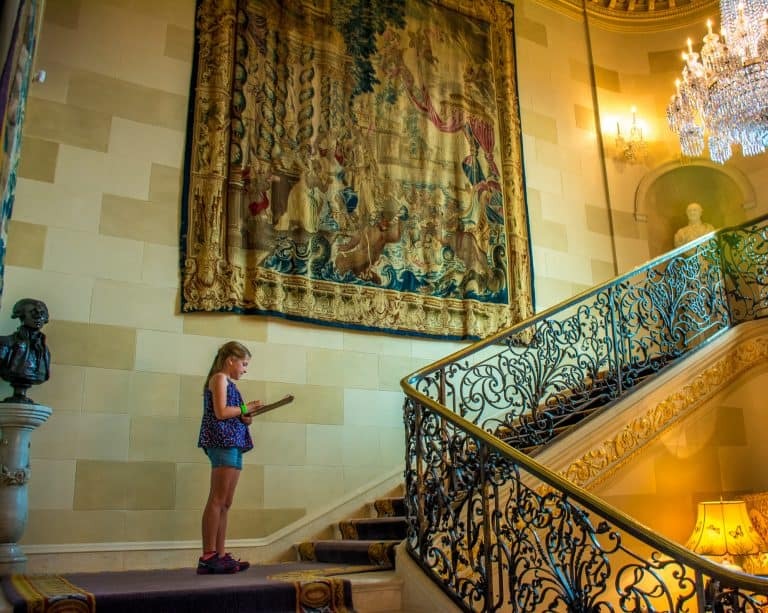 The Nemours Mansion is certainly one of the more ornate mansions from this period in the United States available for tours today. The Hagley, once a gun powder factory complex, was founded by the Du Pont family in in 1802. Now it is now a fun museum that families can visit to learn about the legendary Du Pont family’s contributions to American industry. At the museum, located in Wilmington, families can tour the restored machine shop with a guide. A walk along the banks of the Brandywine River allows families to see how the river’s power was harnessed to produce black powder. 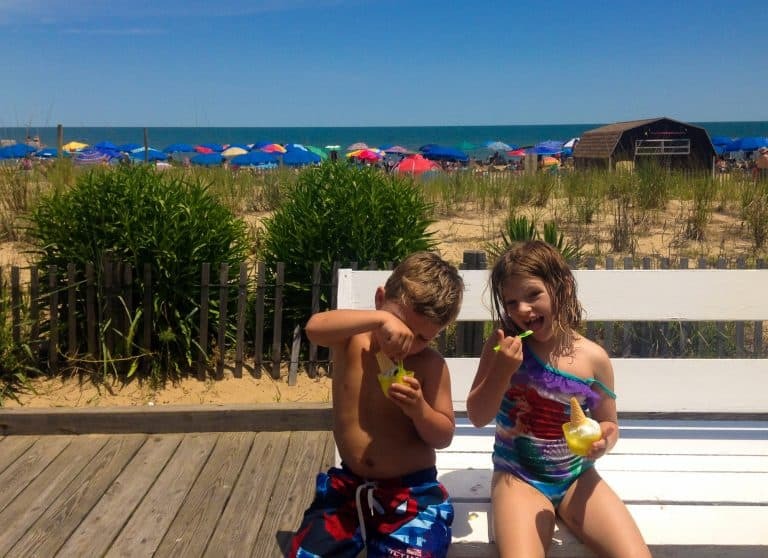 For family fun at the beach, Rehoboth Beach and Boardwalk is the place to go. Enjoy sunbathing or building a sandcastle on the free, guarded beach or take a dip in the Atlantic. When you tire of lounging, stroll along the mile-long boardwalk or treat the kids to some rides and games at Funland. For a day off the beach the kids will also enjoy Jungle Jim’s water park. In the evenings the family can enjoy a stroll in the quaint downtown to browse the shops or grab a bite to eat. Be sure to stop and listen to a concert at the bandstand too! 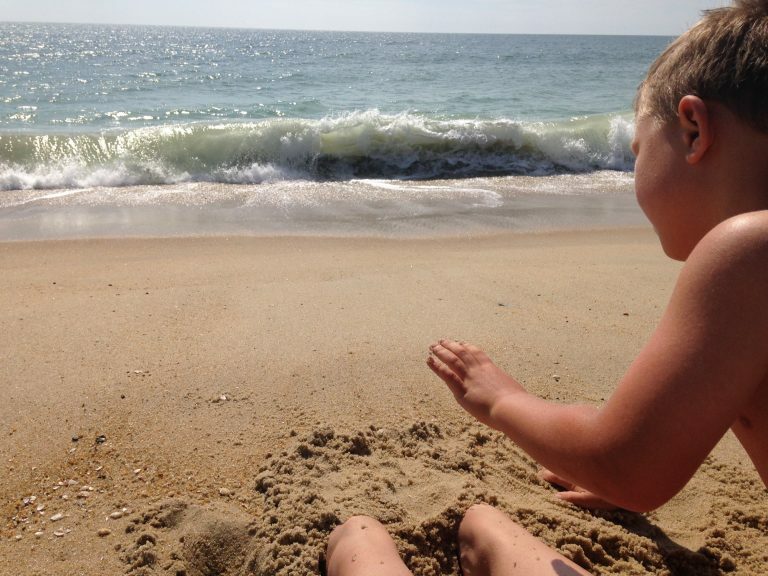 Find a place to stay in Rehoboth Beach or Bethany Beach. 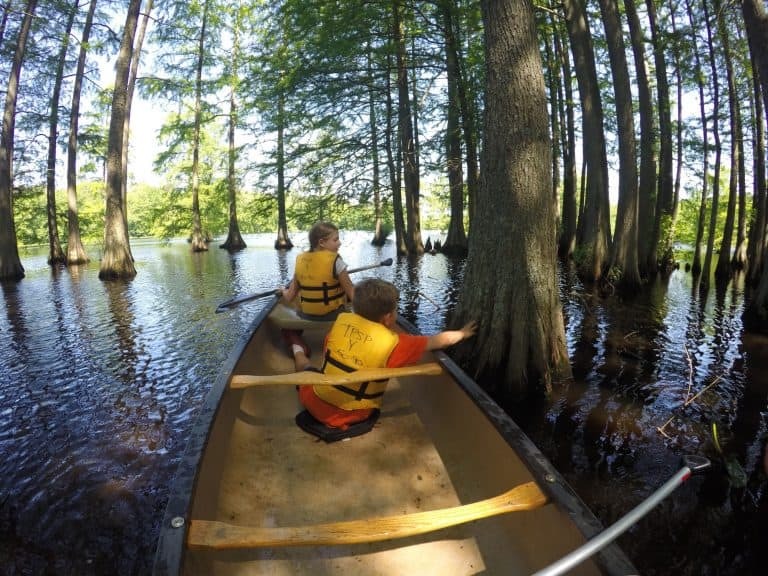 Paddling through the cypress forest at Trap Pond State Park, you’d never guess that you’re actually in Delaware. Over 200 years ago, this Delaware swamp land was flooded to provide easier access for loggers harvesting the hardy (and much sought after) cypress trees. What remains today is a lake spotted with beautiful cypress trees and lots of wildlife. Adventurous families can rent canoes or kayaks to explore the park’s various water trails. Canoe between the cypress to enjoy the shade offered by the trees. Located in southwestern Delaware, Trap Pond is surrounded by farmland. While you’re visiting be sure to stop at one of the various produce stands selling the local fruits and vegetables. Animal lovers might also want to check out TaCaCo Alpaca Farm where families can feed and pet cute, fluffy alpacas! Winterthur is a museum, library, and garden all in one stop. The 175-room home was once owned by the Du Pont family. Now it houses the Du Pont family’s immense collection of American decorative arts. It is a premier location for the study of American decorative arts featuring many paintings of George Washington and the founding fathers. The home sits on a 1,000 acre preserve of meadows and woodland in the Brandywine Valley. 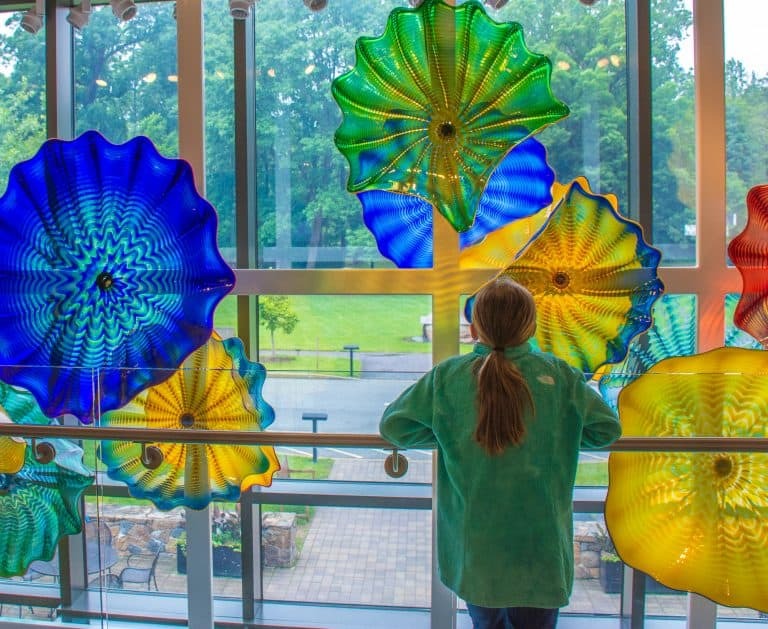 There are so many kid-friendly things to do at Winterthur! Enjoy a family oriented guided tour, hands on history carts, family programs, tram tours, or explore the Touch-It room. The Touch-It Room is located on the first floor of the house and set up for young children to be able to learn through play! The highlight of the property is the Enchanted Woods! 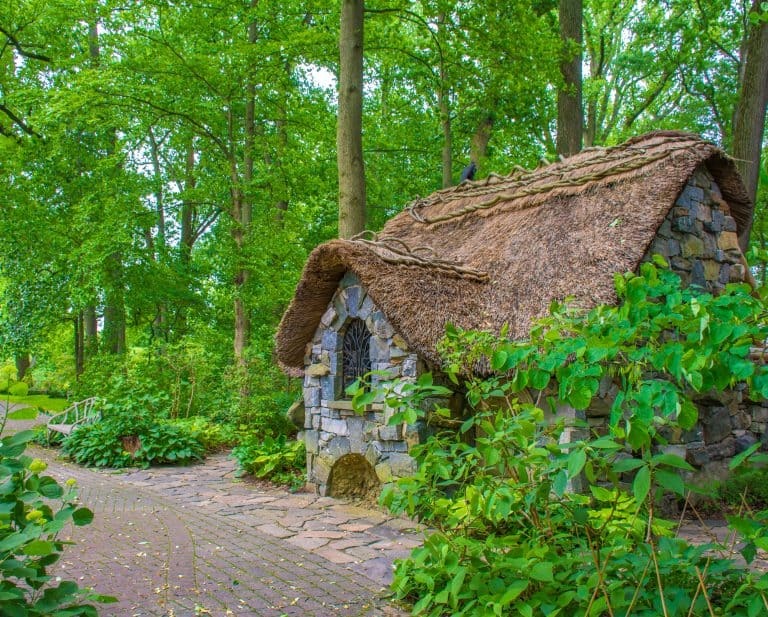 In the Enchanted Woods, kids can explore the world of fairies and discover exciting places such as the Troll’s Bridge, Acorn Tearoom, and many other magical places like the fairy cottage pictured above. There is so much to do in Cape Henlopen State Park! It is easy to fill a day or weekend swimming at guarded beaches, biking, hiking, kayaking, and exploring historic Fort Miles. Fort Miles was part of Delaware’s coastal defense during World War II. Now families can take a tour of the fort and participate in interpretive programs. If your kids are more interested in the natural world, stop by the Seaside Nature Center. There they can learn about the ecosystems of both the Delaware Bay and Atlantic Ocean. At the nature center kids can explore the touch tanks and even borrow a loaner bike for a two-hour ride around the park! Turn your visit into an adventure by camping at the park’s popular campsite with your choice of tent sites and cabins. Now I want to visit Delaware! Who knew that there were that many great spots of visit in the small state of DE! Thanks for uncovering them for us, Beth. Man, my list of places to visit in the NE just keeps growing, but I’ll definitely have to add the Dover International Speedway to the list for the sake of the boys in this family. There are even more great places to visit in the state of DE including Main Street in Newark and the Brandywine zoo. People are always making fun of this small state, but I think it’s awesome in itself and it’s only a short drive to other tourist places like Washington, DC, Philadelphia, Baltimore, Atlantic City and New York City! Try doing that if you live in a larger state! Don’t forget the Read House in Historic New Castle on the Strand! Built in 1803, 14,000 square feet, it’s gorgeous and open to the public April to December.